Dimension: 14.6 lbs. Large: 14" diameter x 27 1/2" high; medium: 12" diameter x 25 3/4" high; small: 10 1/8" diameter x 23 1/4" high. Your three favorite potted plants will love being in the saddle of these Western stands. 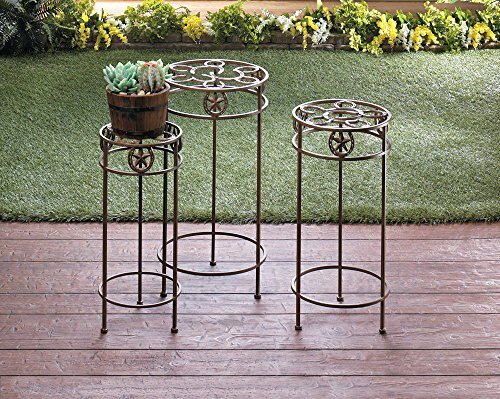 these plant stands come in three sizes and heights to make a great showcase of your green thumb in any room.